Welcome. We are a nationwide deliverer of Foundation Plans and Engineering Design Services for the Mobile Home industry according to FHA, HUD, VA, and local building standards. If you need a Mobile Home Foundation Plans, you may start your design request here. 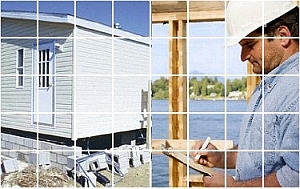 If you need a foundation inspected and certified by an engineer, please go to our inspection website, located at www.FoundationCerts.com. Are you a manufactured home retailer? If so, click here. We are a nationwide deliver of Mobile Home Foundation Plans. Our Professionally Licensed Engineers provide Foundation Plans and Engineering Design Services for the Mobile Home industry according to FHA, HUD, VA, and local building standards. We provide Foundation Plans and Engineering Design Services for the Mobile Home industry according to FHA, HUD, VA, and local building standards and ensure conformance to local standards and/or national standards for home owners, manufactured home retailers, builders, commercial organizations, contractors, and other respected entities across the United States. Our Mobile Home Foundation Plans give you all the information you need to get your foundation permitted at the local building department and provide the necessary information for you to get your Mobile Home Foundation Plans constructed in an economical fashion. Not only do we design foundations, but we are a full service structural engineering and inspection firm for the manufactured (mobile) housing industry. We can design a retrofit for an existing non-compliant mobile home foundation for HUD/FHA standards, and perform structural inspections on them. If you have questions about our Mobile Home Foundation Plans services, please feel free to contact us. Please explore our full range of Mobile Home Foundation Plans services and see what we can do for you.